I’ve been working my fingers to the bone, so the only free time I’ve had has not been dedicated to the blog. I’m getting back into the swing of things and posting a (day late) Tee’s Me Tuesday! I found this week’s post worthy tee while “working” for a customer. Side note: I love that my job requires me to shop online for extended periods of time. Living the dream! Anyway, I found this design on Threadless. Needless to say, it was love at first click. 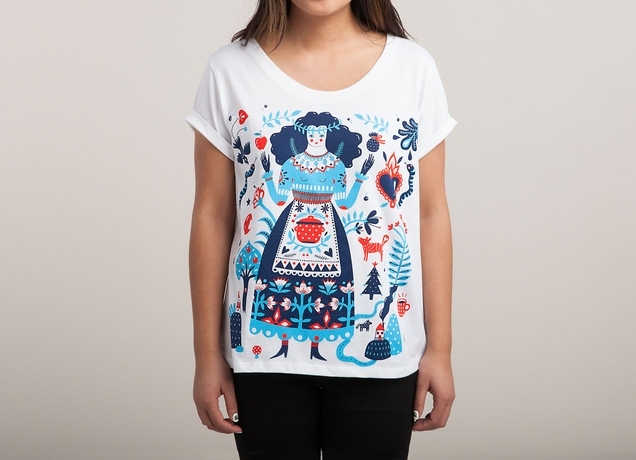 Have you ever bought a tee from Threadless? How would you wear this design? Previous Previous post: Need something to do this weekend?